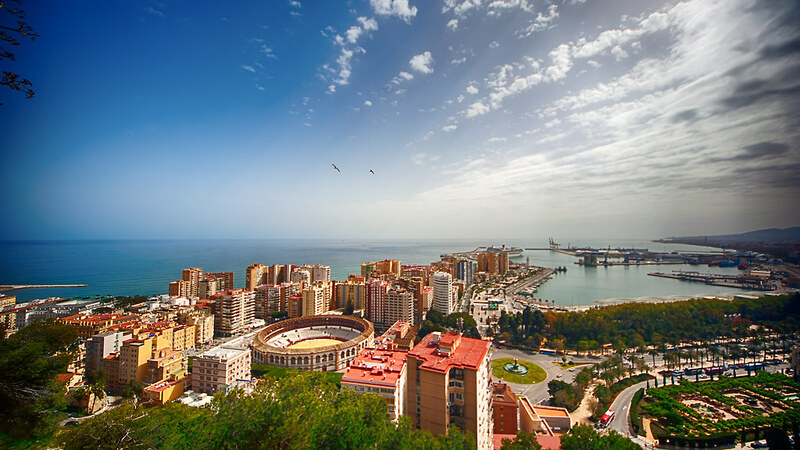 Though more popularly known for being the airport/seaport for the popular Costa de Sol coast, Málaga is actually one of the oldest cities in the world with almost 3,000 years of history. It also has significant cultural and artistic significance, especially being the birthplace of renowned artist, Pablo Picasso. This was shot from the top of the Castle of Gibralfaro, which gives a great view of the city including the port. The circle structure in the middle is a former bull ring.